Guna Yala Kayak Expedition at Adventures Panama. Book now! They are politically a nation within Panama with their own language, culture, laws and territory. 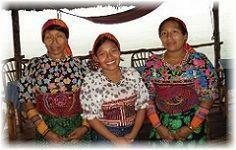 However, they are also Panamanians. There wasn´t a single road connecting Guna Yala with the rest of Panama (not until 2007). Guna´s efforts to preserve their identity, and their control over San Blas has made it possible to keep this region as the pristine paradise it is today. Adventures Panama provides logistics, gear, and guides to take small groups of 6-12 persons to explore the San Blas Archipelago as far as Cayos Holandeses in Sea-Kayaks for 5 days. If it is too windy we will stay at Cayos Limon. This is a chance to interact with Guna culture, and enjoy paddling and snorkeling and nearby set up campsite to explore the area further. Early morning pick-up,usually by 5:00 am for ground transportation to Carti, Gunayala. At your arrival, our guides will transfer you by motorboat to the island of Sichirdup (or similar). Set up camp, tents and relax while getting familiar with sea kayaking. Your days consist of a wide variety of activities. Our use of sea kayaks and powered dugout canoes allow us access to some of the more remote and less traveled spaces in the archipelago. Paddling to an uninhabited section of the mainland, we enjoy a memorable walk up along the pristine banks of the Rio Mangles. Creek‐bed hiking through the pristine rainforest provides us with fantastic opportunities for wildlife viewing. After breakfast, at your convenience, you will be transfer in a boat back to Carti for ground transfer in a private car to Panama City and to your hotel. WHAT DOES IT INCLUDE ? All mentioned transportation, Sea-Kayaks and gear, guides, camping gear, meals and beverages. Shopping stops for Guna souvenirs. Our guides are trained in Sea Kayaking navigation skills, first-aid, and CPR. WHO CAN GO ? Any person older than 12 years, in good health. WHAT SHOULD YOU TAKE ALONG ? Swim suit or a pair of shorts and lycra shirt (or regular t-shirt) for paddling and snorkeling, sandals, a big hat, tons of sun lotion, snorkeling gear, dryback with spare clothes, flash light, personal hygiene productes and first aid items. It is mandatory to bring along an ID, passport, that confirms that you are legally in the country since we will pass through Inmigration's check point. WHAT SHOULD NOT BE TAKEN ? Any object that could be deteriorated by water or valuables like jewels, cash, credit cards, etc. (We can keep them in storage for you at our office in Panama City). San Blas Islands Panama kayaking is a year-round activity. Take a vacation on Panamas Caribbean Islands, you have the choice of the San Blas Islands Panama and the Bocas del Toro Islands. During the Dry Season, from January through March, the North winds settles diminishing chances of sand flies and chances of rain. The water is cooler than the other months. Although it is good to snorkel it´s not the best time for it. Occasionally wind and waves might be tough for a less experienced paddler. During the Rainy Season, from April-May through December there is rain, although it is very unusual to have rain that keeps us from paddling and snorkeling. The water is warmer and with greater visibility for snorkeling. We can expect days with out waves at all. And yes, we might have to trust more in our insect repellent than the wind to take care of sand flies.